At my local indoor track this week I noticed a X Factory driver with his new X-60CF truck in the pits. 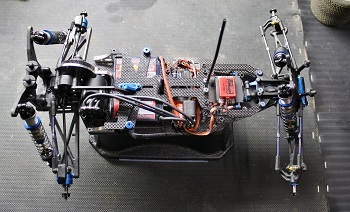 X Factory announced the new kit this fall, but so far only select team drivers have had the chance to use them as they are still busy filling orders for hobby shops across the world. 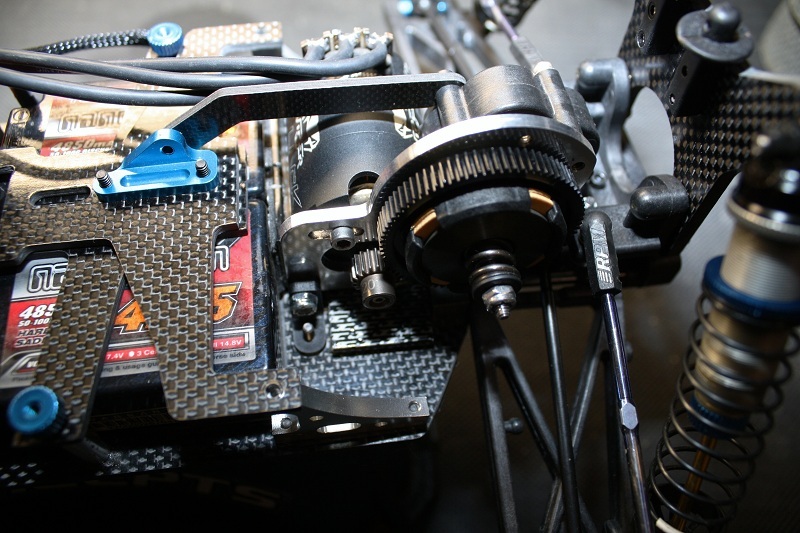 As you can see the new kit features a very narrow carbon fiber chassis, and the required Team Associated parts bolt onto it cleanly for that factory look. This team driver was running a saddle pack configuration, but I’m told that the new chassis will also support LiPo shorty packs. 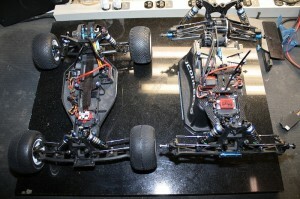 And of course the biggest feature with this conversion kit is that now you are running in a mid motor configuration. 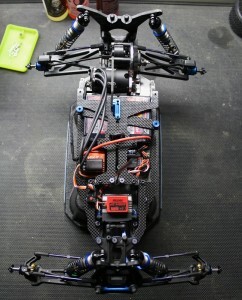 This setup seems to excel in cornering on smaller, tighter tracks since you can carry more speed through corners than a traditional rear motor setup. Here you can see what a normal Factory Team T4.1 kit truck looks like when compared to the X-60CF on the right. Check out the gallery below for more images.